Best Rate Guarantee will assure that you’ll always get the best rate available when you book directly with The Garden City hotel. 1. Make a reservation through one of the following official website for The Garden City Hotel or The Garden City call center. 2. 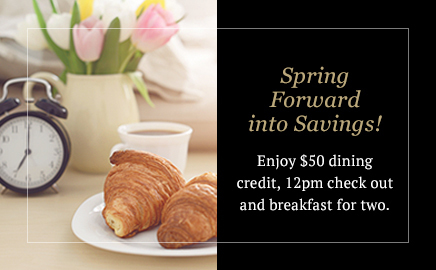 If within 24 hours of making your reservation, you find a qualifying lower price for the same room type, reservation dates and terms and conditions for the booking, we’ll match the rate and give you an additional 15% off the room rate for each night of your stay. You must contact 877-549-0400 to have your request verified. 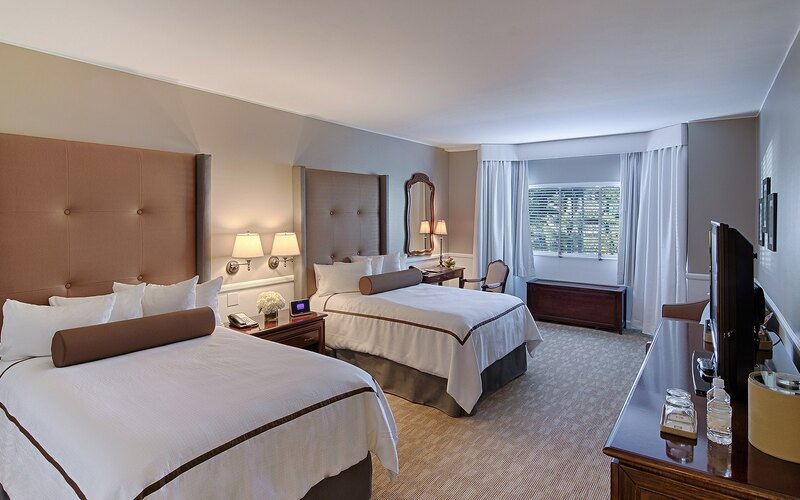 The Garden City Hotel offers 269 spacious guest rooms and suites with all the necessities and comforts for business and leisure travel. 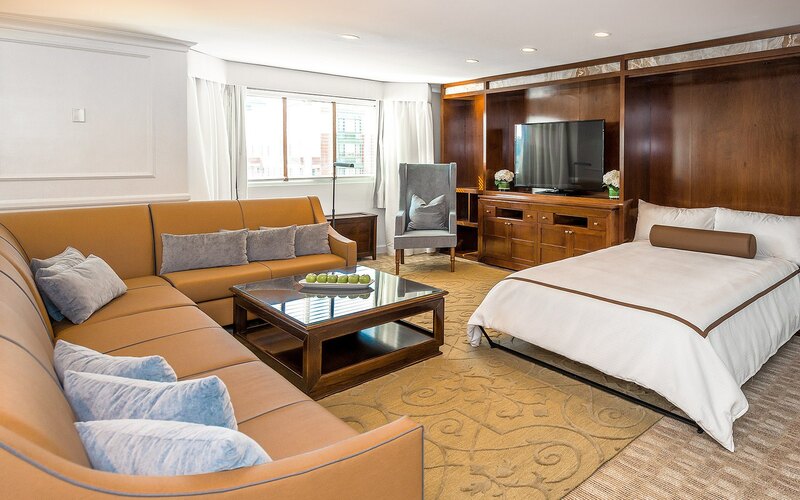 Highlights include custom millwork and Italian furnishings, plush pillow-top mattresses, sparkling baths with Gilchrest & Soames amenities, and seamless technology to keep all of your mobile devices connected. These beautiful 390-square-foot accommodations are the essence of residential style. 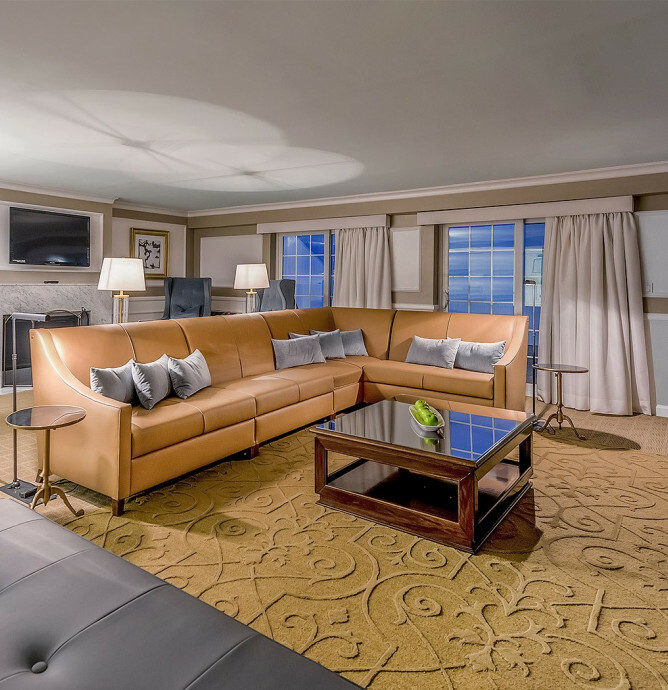 Highlights include a comfortable sitting area, custom millwork and furnishings, and spacious bathrooms stocked with premium amenities. 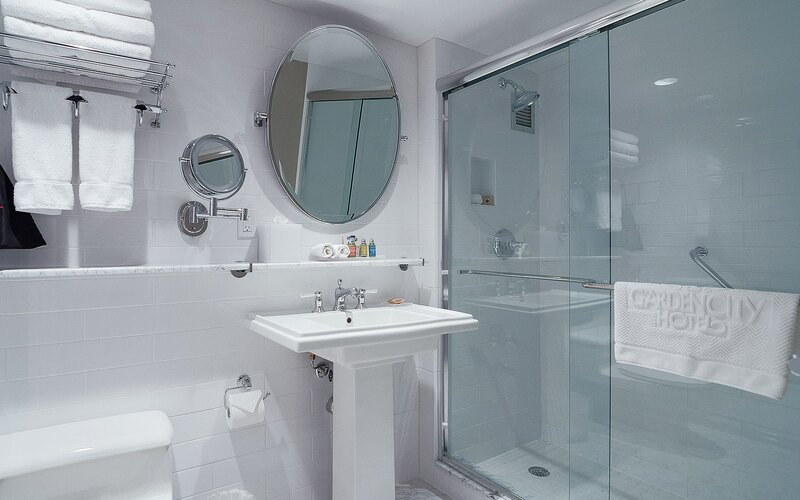 Measuring 390 square feet, these Accessible rooms feature a King bed, walk in showers with boutique bathroom amenities, and a comfortable sitting area. 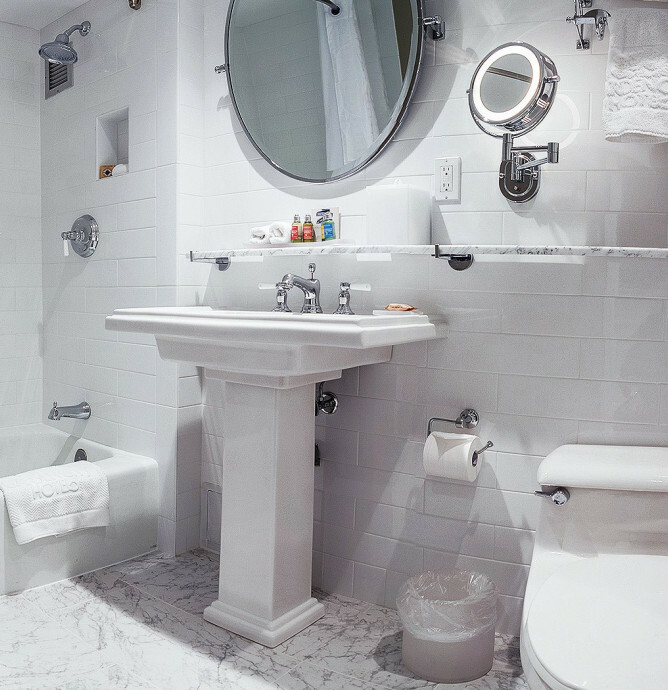 Additional services include walkers, wheelchairs, ramps, ADA accessible parking, any medical equipment needed, in-door pool lift, and Braille signage on all elevators, and room doors. 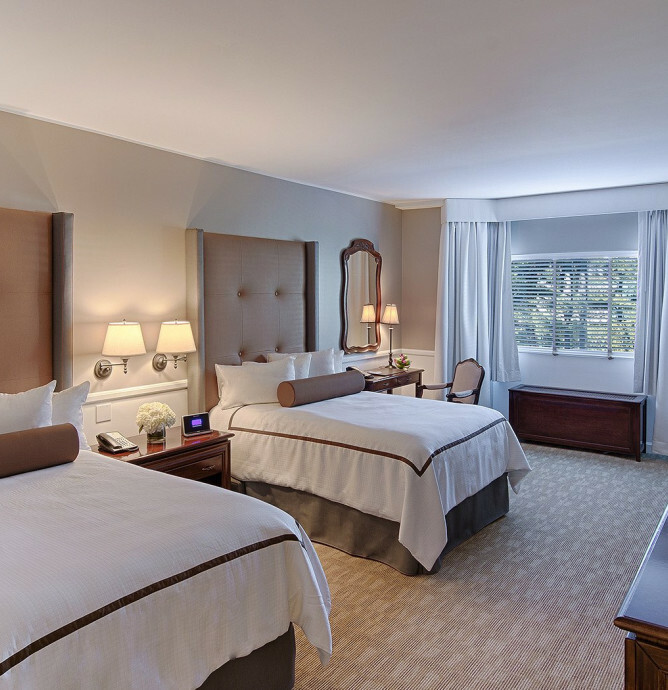 Measuring 390 square feet, our spacious Deluxe Double guest rooms feature two double beds with wall-mounted reading lights, custom millwork, and sparkling bathrooms with premium amenities. 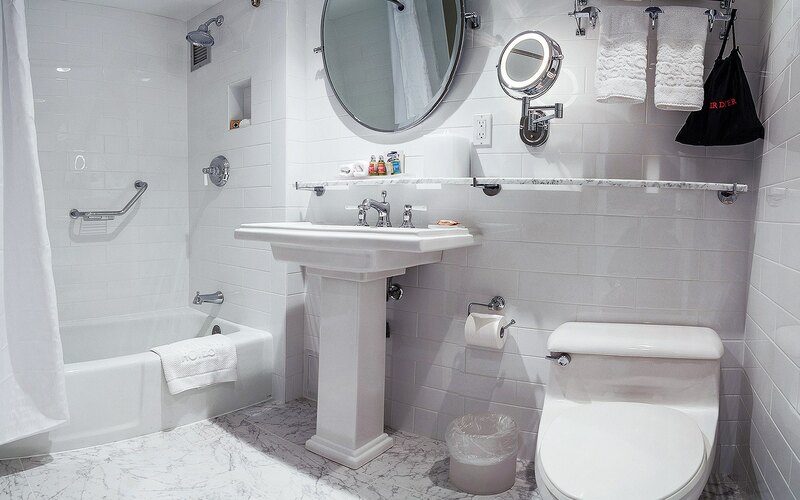 Spanning 390 square feet, our spacious Accessible ADA Deluxe Double guest rooms feature two double beds with wall-mounted reading lights, custom millwork, and adapted bathrooms with premium amenities and walk in showers. 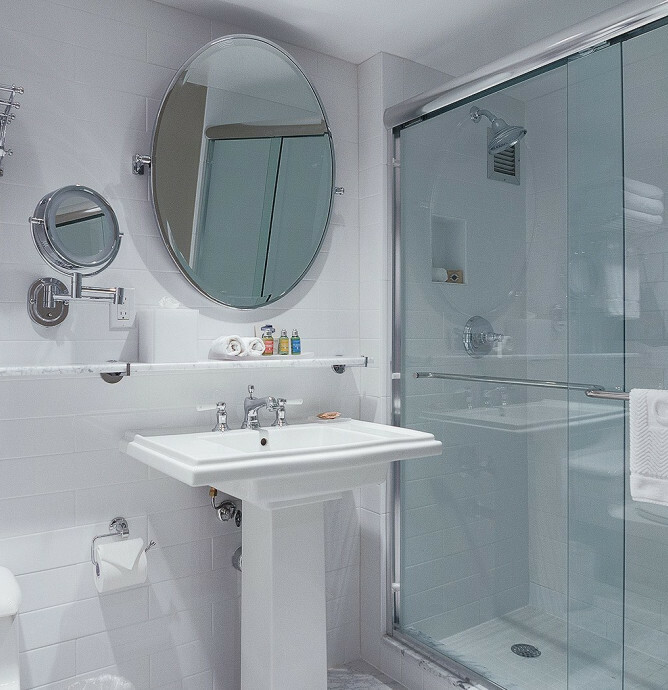 Additional services include walkers, wheelchairs, ramps, ADA accessible parking, any medical equipment needed, in-door pool lift, and Braille signage on all elevators, and room doors. 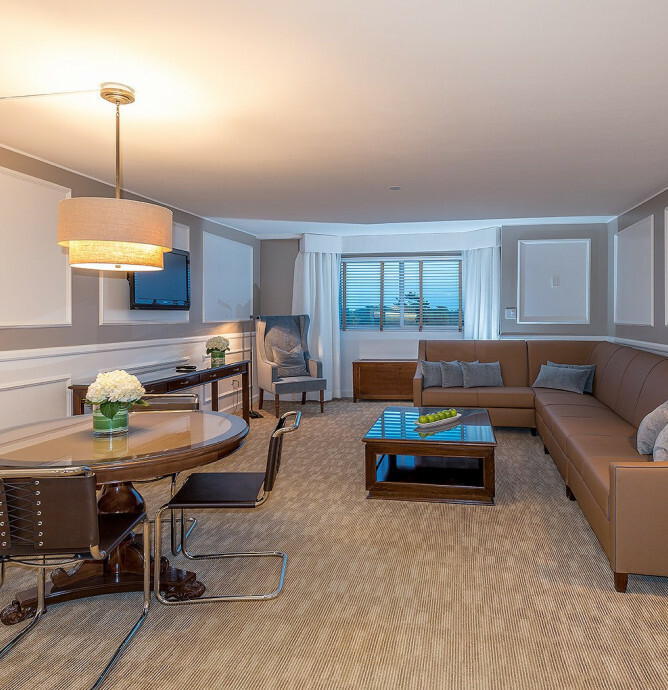 Spanning 780 square feet, our luxurious Deluxe Suites each feature a spacious living/dining area with custom Italian furnishings, wall-mounted flat-screen television, dining table for four, plush king bed, and sparkling bathroom with premium amenities. 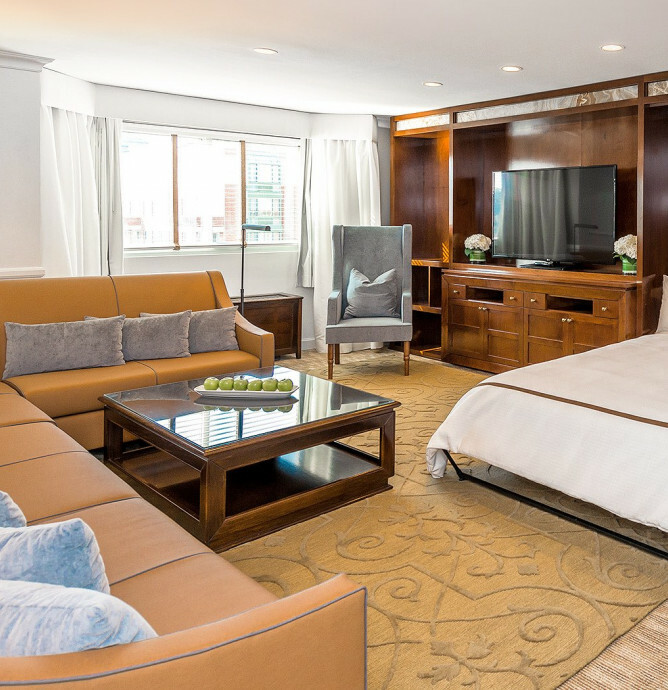 The beautifully appointed Grand Suite offers 1,190 square feet of modern residential luxury. Features of this one-bedroom retreat include a spacious and inviting living/dining parlor with Italian furnishings, custom-built Murphy bed, and wall-mounted television; a separate bedroom with a king bed; and two full bathrooms. 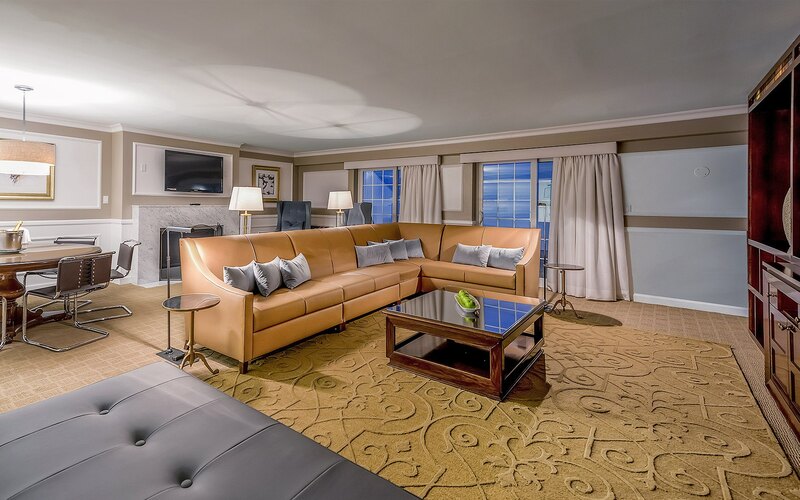 Spanning 1,287 to 1,677 square feet, our largest and most luxurious suites are ideal for entertaining or extended stays. Each features a private outdoor balcony with access from both the parlor and guest room. 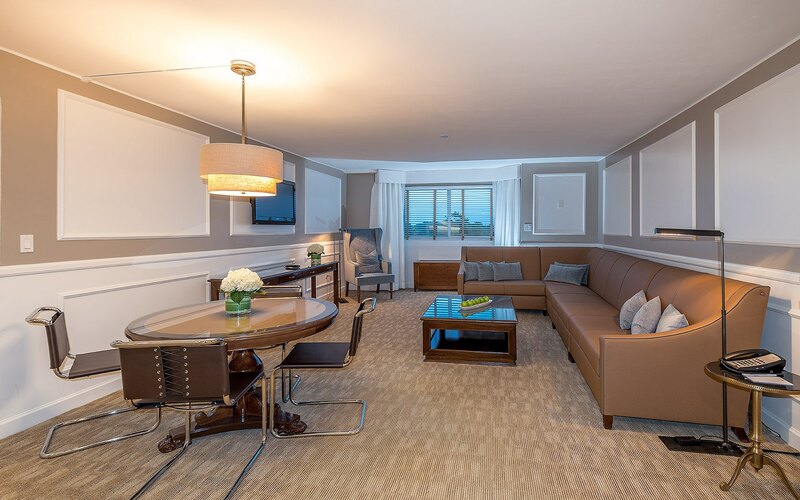 These one- or two-bedroom Penthouse Suites have a living/dining area featuring a dining table for six guests, custom Italian furnishings, and two full bathrooms. © 2019 Garden City Hotel. All Rights Reserved.